Travelling Malawi is (relatively) safe. 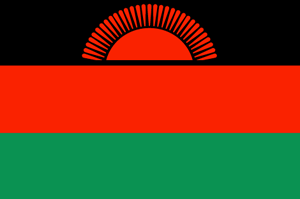 Malawi is a country in Africa (Eastern Africa) with around 14 million citizens and a land mass of 118,480 km². We detected travel advisories from 4 sources for this country. Malawi shares land borders with 3 neighbouring states. For this country, the Danger Index is 2.3 (average value for all countries). All countries habe been reported as somehow dangerous: Tanzania (2.4), Mozambique with (2.2) and Zambia with (2.2 of 5). See danger map of the region. Exercise normal precautions in Malawi. Some areas have increased risk. Read the entire Travel Advisory. Exercise increased caution in: Rural areas due to sporadic civil unrest. Read the Safety and Security section on the country information page. The Ministry of Foreign Affairs and Trade Promotion wishes to advise Maltese citizens travelling to Malawi that on the 8 March 2019, the President of Malawi declared a State of Disaster in areas of southern Malawi affected by heavy floods. The floods have caused at least 45 deaths and more than 80,000 people have been displaced. Tropical Cyclone Idai is forecast to make landfall from the Mozambique channel and may bring further strong winds and heavy rain to parts of southern Malawi. If travelling to affected regions, you should take extra care, monitor local and international weather updates from the World Meteorological Organisation and follow any advice given by the local authorities.